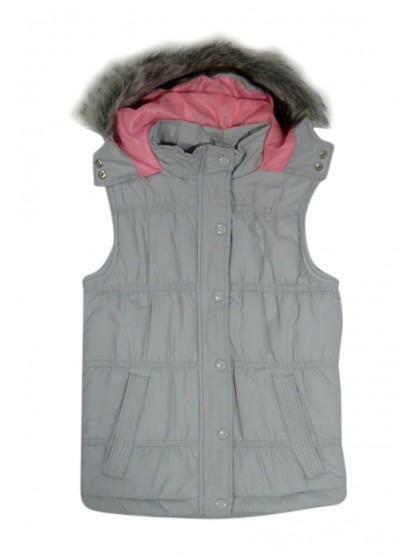 Keep the cold away and get cosy with this padded gilet. 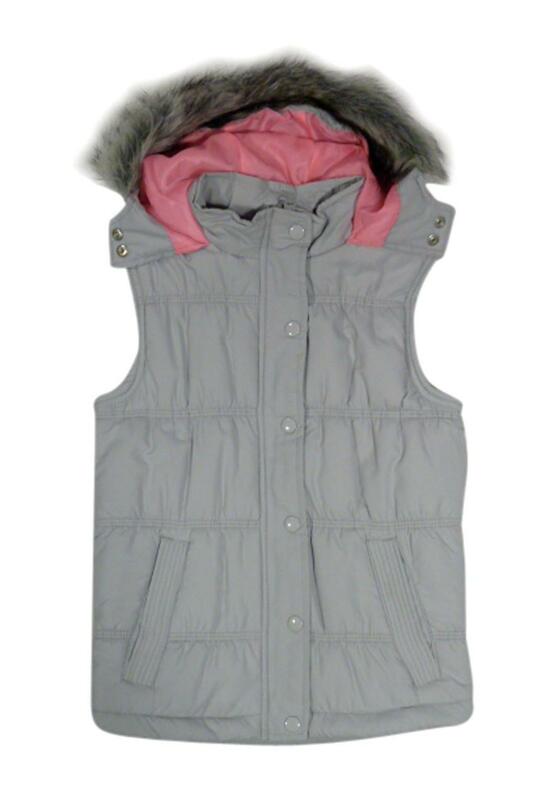 Front zip and button poppers, with a fur trim hood. Perfect for casual wear, with jeans and a t-shirt.